Getting personal loans from any financial institution is far easier than getting any other kind of loans. It generally requires less documentation and the time frame for release of the loan is also short. Loans in the Philippines like many other countries are easy to come by, especially personal loans. A personal loan can be used for multiple purposes by a person. A person can use the loan amount to buy a house or a car or pay certain monthly recurring bills. The loan lending institution does not care about the purpose of the loan. Normally it has been seen that the interest rate charged in case of personal loans is higher than the interest rates charged for other kind of loans. It should always be kept in mind that the easy way may not be the right way. This kind of loan can create immense pressure on the financial stability of a person. If taking a personal loan becomes unavoidable, then a person should keep certain things in mind before embarking on the loan. 1. Importance of Credit Score:Credit score actually determines the amount of loan that gets released. So this is an important factor that should be kept in mind by the personal loan applier. The interest rate that will have to be paid by the loan taker is also partly dependent on the credit score of the person. If a person has prior knowledge about the credit score, then he or she would be in for a less surprise as the interest rate is declared.Loans in the Philippines are mostly dependent on credit scores of the person. 2. Rectifying Credit Score: Sometimes there might be mistakes in the credit score of a person. 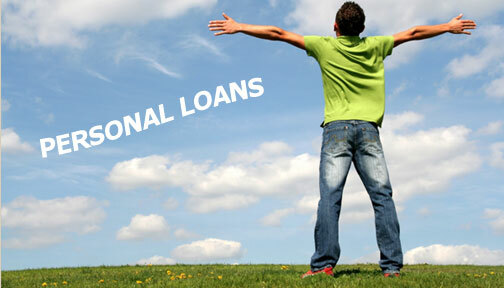 It is important for the person to settle this issue before applying for the personal loan. There is always the possibility that the person has to pay higher interest rate due to faulty credit report. Rectifying a credit report can take a bit of time. So a person should start planning for taking the loan with a bit of time in hand. 3. Looking around for the safest bet: It is important to look around for the financial institution giving the loan at the lowest rate of interest and also the best possible criteria. A person should not depend on a single bank but get information from several banks before making the final decision. It would be better to search via internet than going out to each bank. This would save a lot of time. After creating a preliminary list, a person can start visiting those banks and then make the final choice. 4. Fees charged: In case of most personal loans, a fee is charged as additional payment. This fee can sometimes be overlooked by the loan taker. In some cases it has been seen that banks charge bigger fees and less interest. A person should look out for the total amount of repayment to understand if the bank is charging more or less. Fees can often remain hidden. 5. Affordability: Before applying for the personal loan, a person should be aware about the amount of EMI that is possible to repay. It should be remembered that greater amount needs to be repaid if the time for repayment is longer. Keeping this and the budget of a person in mind, the monthly repayment installment should be determined. 6. Penalties for faltering monthly payment: A loan taker can sometimes face a situation where it becomes impossible to repay the loans for a few months. It may not be deliberate, but a forced situation. The loan taker should take note of the penalty interest charged by the bank. The lesser the interest the better it is. 7. Early repayment penalties: Some financial institutions charge an amount of money as penalty if the person goes to repay the total loan earlier than agreed. This should be avoided at all cost. There are banks that do not charge for early repayment. Taking personal loans from such banks isbetter. Early repayment always saves the amount of interest that the person had to pay over a longer period of time. 8. Interest type:The personal loans in the Philippines as well as in other countries can be given on floating or fixed rate of interest. It is better to opt for the fixed rate of interest. This keeps the monthly installment fixed and also saves the loan taker from extra burden if the floating interest rate increases. Although floating rates might look lucrative, fixed interest rates are always better. 9. Secured loans are better than unsecured loans: Secured loans are always better than unsecured loans. Since secured loans always have lesser rate of interest than unsecured loans, so the choice is simple. If a person has any collateral to give to the bank, then it is always better to take secured loan. The only risk is if the loan taker defaults in repayment, then the bank can take away the collateral. 10. No policing on the loan released: In case of personal loan the loan giver is not allowed to look into the purpose of this loan. A person can use this loan in any way he or she thinks fit. The main concern of the loan giver is to look into the ways of repayment and not into the purpose of the loan. 11. Requirement of co-signer: In some case it has been seen that the sanctioning of personal loan requires a co-signer. This is nothing but having a guarantor if the loan taker fails to repay the loan. This is an added complication and such financial institutions would better be avoided. 12. Knowing the exact requirement: Before applying for the personal loan, a person should have a clear idea in his mind as to the exact amount of loan required. It is always foolish to take more amount as loan than necessary. There is always a chance that it will create extra financial burden in future. 13. Future savings: Whenever a person is going for a personal loan, he or she should not forget about creating a savings for the future. A person has to keep a certain amount of money as savings each month for unforeseen future and this should not get jeopardized by the personal loan. 14. Better terms and condition: The final selection of the banker should not be made based on interest rate and the time for repayment alone. A person should also look at the terms and conditions given. It is very much possible that lower interest rate will have tougher terms and conditions. One should be careful to check the suitability of the terms and conditions. 15. Proper documentation: The last but not the least important point that should be kept in mind before applying for a personal loan is to be ready with all necessary documentations. Last moment gathering of documentation can create frenzy, and there is every probability of messing up the loan process. So better to collect all required documents and then go for applying the loan. The above 15 points are just the guidelines that can help a personal loan seeker immensely in times of need. These guidelines can help a person by avoiding numerous pot holes that lie in the way of getting personal loans. Kash Martinez, understands the intrinsic attributes of making excellent content that suits the needs of every business especially when it comes online financing. She can conceptualize and implement marketing plans, explores profitable B2B opportunities and then absorb Loan Solutions PH services. P.P.S To those doing the 52 Week Money Challenge, it is Week 33 already! Did you deposit the next amount yet?